Sundram Fasteners Ltd (SFL), part of the $7.2 billion TVS group, has announced that is has won the Deming Prize for all its 17 plants located in India – a singular achievement. The TQM initiative at SFL is driven by its managing director, Ms. Arathi Krishna. The Deming Prize is a highly acclaimed quality award presented by the Union of Japanese Scientists and Engineers (JUSE) to companies that have achieved breakthrough results by the application of TQM. SFL saw distinctive performance benchmarks being created by TQM and decided to implement TQM in a systemised and unified manner across its plants. SFL has already won international acclaim in quality by being a pioneer in TPM, having won the TPM Excellence Award from JIPM, Japan in 1998 the first in the engineering industry to get this recognition. The Deming Prize will be formally presented to SFL on November 14, 2018 in Tokyo. Sundram Fasteners, with its diversified product line, world-class facilities in three countries and motivated team of talented people, is now a supplier of choice to leading customers in the automotive segments worldwide. 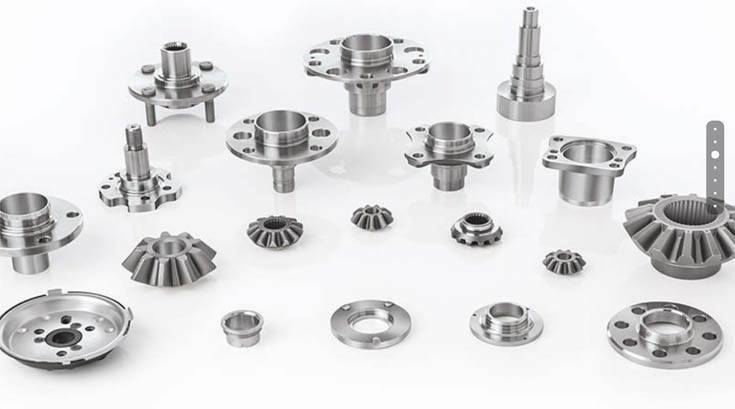 Its product portfolio consists of high-tensile fasteners, powder metal components, cold extruded parts, hot forged components, radiator caps, automotive pumps, gear shifters, gears and couplings, hubs and shafts, tappets and iron powder. Over the years, the company has acquired cutting-edge technological competencies in forging, metal forming, close-tolerance machining, heat treatment, surface finishing and assembly.